The TV, live streaming and radio listings are legal broadcasts of The Express Preview in United States. Authentication or subscription with a TV, ISP or streaming provider may be required. Please note that not all channels are available to watch online. If available online, we will link to the official stream provider above before kick-off. This will be an interesting group, as the likes of Norway will attempt to bring down their most esteemed rivals. This will be one of the most competitive groups in the competition, especially due to the quality shown by all of the teams involved. Group D easily qualifies as another 'Group of Death' considering the pedigree of the teams it features. After securing their spot in the Europa League semi-finals, Chelsea resume domestic action as they welcome Burnley on Monday, April 22nd. Live Soccer TV's match preview provides match facts, team news, and global broadcast listings for Chelsea vs Burnley. PSG will look to get back to winning ways as they take on familiar foes Monaco on Sunday, April 21. 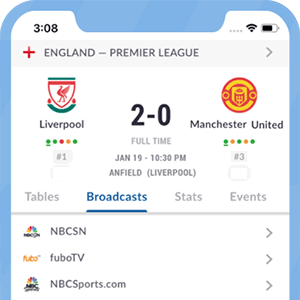 Live Soccer TV's match preview provides match facts, team news, and global broacast listings for PSG vs Monaco.